CEREIS-Databank™ has the capacity to run a Country’s census. 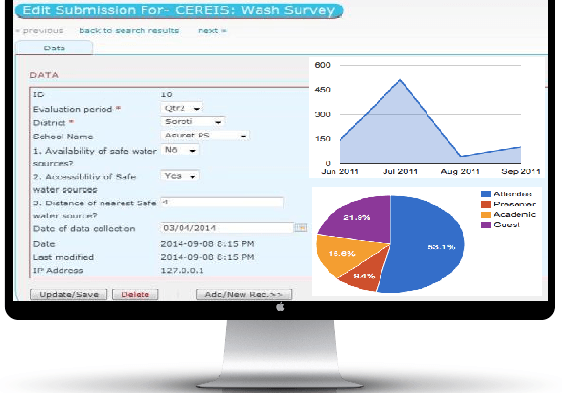 Improve3 the way you design and manage projects and monitor performance using CEREIS-Databank™, our cutting-edge online system that you can access wherever you are. CEREIS runs an online Databank aimed at effectively managing/helping organizations in Data collection and online Data entry processes. CEREIS-Databank™ has the capacity to run a Country’s census. Improve the way you design and manage projects and monitor performance using CEREIS-Databank™, our cutting-edge online system that you can access wherever you are. üi) Enter your data from anywhere in the world, using any computer, smart phone device. v) Manage your data entry centers/clients from the comfort of your office or on the move, anytime from anywhere around the world. vii) No data loss due to theft, computer crash, etc, since your data is 100% safe with us, in addition, we are regulated by Statistics Act, 1998 regarding secrecy /confidentiality of respondents.